Grief is a strange process. Especially when you avoid it at any cost. I make posts on social media and occasionally I may verbally say “I miss my daddy,” but any expression that requires depth, I avoid. It’s a defense mechanism I guess. I have to keep going, keep living. I don’t want to be the sad girl. It’s approaching two years and I don’t want pity. I don’t want judgement. However, I have not properly dealt with my grief. I sit in my regular therapy sessions and I discuss my mother or romantic relationships, and even my relationships with friends. Rarely do I talk about my daddy or my grief. I don’t talk about him. Not really. I don’t explore my hurt. I don’t explore his absence. A few months ago, I went through a bout of depression. I had the desire only to lie in my bed and binge watch Blue Bloods. Blue Bloods is a show that my daddy called “our show” because of the father/daughter relationship between two of the main characters. One day I realized that I was watching this show because I missed my daddy. It was my subconscious way of dealing with my grief. After years of sacrifice and consecutive tragic life events, I moved into my first apartment in Houston. It was joyful and stressful. Particularly because my car required a series of expensive repairs around the time of my move. Even though I always have consulted my mom and not my dad about my car troubles, I found myself feeling and saying “I miss my daddy.” The day I picked up the keys to my apartment, my mom was on the phone with someone sharing my news (as she often does because she suffers from verbal diarrhea) and I said to her, out of my mouth, “Who is that, daddy?” I immediately bursted into tears in the leasing office. A couple days later I was driving back to Houston from Dallas and my car wheel was giving me some trouble and I said to my cousin after I couldn’t gain assistance from my mom and others, “I’ll just call my daddy.” Even though something similar happened days before, I still shocked myself. I’m so happy to start this new chapter, yet there is a damper. There is something missing…my daddy. (I just realized as I typed that sentence and my eyes swelled with tears that THIS is why I have been so moody) I have been depressed, needy, lonely, moody, and simply unpleasant. And I have been in my bed in my new apartment, alone, binge watching Mad Men. The main character and his life reminds me of my daddy. Watching the shows that have connections to my daddy have been unintentional but makes sense. Subconsciously, I’m looking for ways to be close to him, to fill the void that is impossible to fill. My daddy would be so happy for me and taking this step, living my life for me. Even with that being true, I can’t be happy. I can’t help but wonder if every life event that is to come will be challenged but this dark gloom of my father’s absence. I’d like to believe that when I stop avoiding and actually deal with my grief, I will handle life events in a more healthy manner. For now, I am up at 3 am watching Mad Men, feeling every bit of my daddy’s absence and it hurts like hell. I am skilled at putting people in boxes. The issue is the more I shut myself off from those people, the thicker the wall I’ve built between my emotions and the rest of the word becomes. Everything in life is geared with a transaction, an exchange, a risk. I hold on to my end of the exchange as tight as I can. I have a lot of pride and self-protection which makes it difficult for me to release power and show vulnerability. This becomes a challenge because how can you grow with someone if you never let them in? This becomes for complicated for me, because you cannot truly let someone in without showing vulnerability. So I walk around life acting and believing that if you have not crossed some arbitrary line with me, you are disposable. A guy that I dated constantly told me “you have to stop acting like the people in your life are disposable, that’s not how life works.” Another guy I dated told me on the regular basis that he felt like he was always one mistake away from my blocked list. (Truth of the matter is that he was correct) Instead of spending energy on what seems to be a bad investment, I like to cut my losses early. Everything with me is an exchange of power. This can cause me to be very petty. A couple weeks ago, my ex called me, very friendly conversation, not uncomfortable, totally cool…I cut the conversation short so I would be the one to end the conversation and not him so I could keep the power. (Yes I realize there is something wrong with me) Maybe I did this because I lost so much power in that relationship, so I try to reclaim it in any way that I can. The “I’m going to get you before you get me” mentality is not mature, productive, or healthy. I am aware! That doesn’t prevent me from being on a constant power trip. “Noted” and “Ok” are my constant states of mind. I don’t rebuttal or share when I’ve been hurt because I don’t want to reveal my true feelings. I avoid confrontation by taking note and removing myself from that situation, a lot of the time this results in me removing myself from a person’s life prematurely. So I put that person in a box and add another layer to the wall. So I check Timehop and Facebook Memories daily. It often provides me with little jewels of my daddy. Today’s timehop was a sad but real moment for me. My dad lived over a year past the video I will be sharing today. Moving forward, time to time I will be sharing some memories provided by Timehop and Facebook. 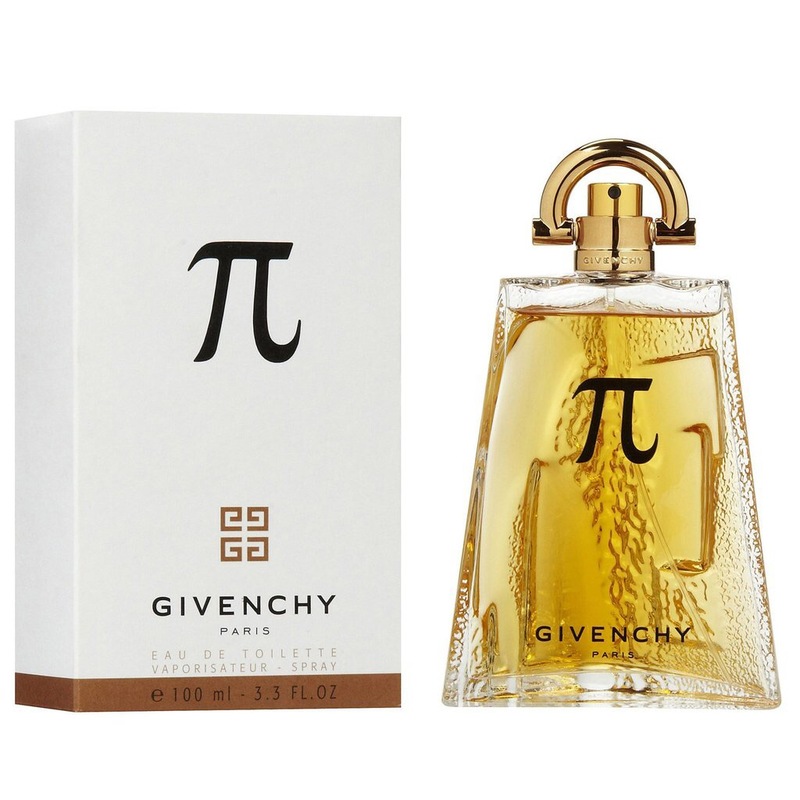 When I miss my daddy, I place a small vile of Givenchy Pi up to my nose… and I get a whiff of him. When my heart is severely hurting, I spray the cologne on his robe and I hold it. And in that moment the painful reality is non existent. He’s right here with me, sitting beside me, holding me, laughing with me, holding my hand…but it’s only a moment, then I remember. He is not here. I have been collecting little puzzle pieces here and there because I wanted to share my experience through the art of words. I haven’t had the time to organize the pieces and put the puzzle together…but it is coming. Since my dad’s death, so much has happened. So much good has happened. So much good has happened that at times I even feel guilty. I’m not sure why I feel guilty, because there is a vacancy in my heart that prevents me from really enjoying or celebrating the good. I have no complaints about life at this time….except one: I am terribly sad. I smile. I go out. I have a good time. I live. I thrive. BUT at some point while doing all of these things, I find myself in a dark place. I don’t share these moments with others often. I hide my tears. I slip away if I can. I try to reason myself out of that place. But I have a fear that I will be visiting this place for the rest of my life. On the daily basis, I keep it together 99% of the time publicly. Today, I have literally been a crying mess. I’ll just assume that most of you reading this do not know my personally. So, I’ll let you in on a little secret….I use to be a cry baby. Like I cried ALL THE TIME. Somewhere between my good friend Joann (who told me directly that she did not like me when we met because I cried all the time…I am now her daughter’s God-Mother), my good friend Justin (who would look at me emotionless while I cried, until I calmed down and then told me that what I was crying about would not matter in 5 years) and my college boyfriend (who was emotionally challenged himself and had very cold but honest responses whenever I was overly emotional about anything), I have grown to DESPISE crying. When I cry (which is rare) I actually get angry at myself. The conversation I usually have with myself is a cocktail of what those three would say to me. Today, I woke up from a terrible, but painfully accurate dream and decided I was not going to allow it to affect my day. I went to a meeting at the Junior League of Houston, which went well and I realized that I was finally enjoying my time in the league and making friends, which I previously had found challenging….THEN, I went to therapy. (I started therapy again [HUGE ADVOCATE OF THERAPY] a week ago because along with my hate of crying I have grown to be as emotionally challenged as my ex. Which has led me to force my emotions into the box that I can feel the lid coming off of daily [another post for another day]) Therapy opened Pandora’s Box (Pun Unintended). I began thinking about things that I usually avoid thinking about during the day. A friend introduced me to audiobooks, I wrapped up Joyce Meyer’s The Battlefield of the Mind (which literally took me 2 years to read until the audiobook, which took a week to finish) and I began Option B by Sheryl Sandberg and Adam Grant. This was probably a bad idea. Sheryl lost her young husband two years ago. And even though our circumstances are different, her discussion of pain and grief triggered something in me that therapy had earlier exposed. There is also the issue of appearances. If it looks like I have been doing so well, what will people think if they knew that I am just now beginning to deal with his death. I’m sure I already look crazy between the Instagram & Facebook posts. Am I too open about my pain? 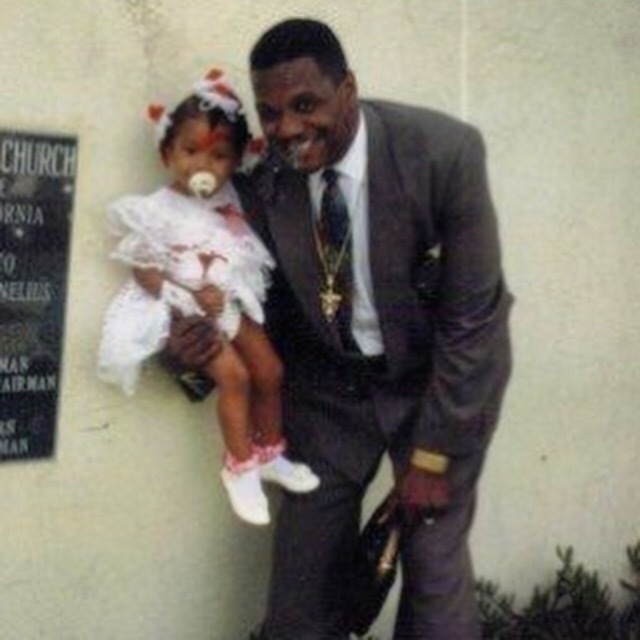 Are people thinking that its been…..there it was: Today marks the 6 month anniversary of my daddy’s death. 6 months ago, the world as I knew it for 25 years changed. I have not been keeping up with the time passed since his death, because frankly, I go on like he isn’t dead. I wasn’t consciously keeping up with it, but subconsciously, I had to have known, which explains all the damn crying. (THANK GOD I work remotely on Mondays). As I figure this out, I’ll do my best to keep you all in the loop. I think the approach I took today was best….Just stop everything and write. My daddy, Dr. Royce D. Cornelius passed away on October 24th 2016. I know I have not posted in awhile, but I have some great things in the works (including blog posts) that I will be sharing with you all soon. Today, I would like to share with you the video I created for my father’s memorial service. Enjoy.